Ron Hubbard is in the dread industry. His company builds personal nuclear fallout bunkers for everything from people worried about the rapture to North Korea. For a while, the United States and North Korea seemed to be a tweet away from nuclear war. And then, the threat subsided with a summit in Singapore. Ron Hubbard had a finger on the pulse of the American public throughout the ordeal. 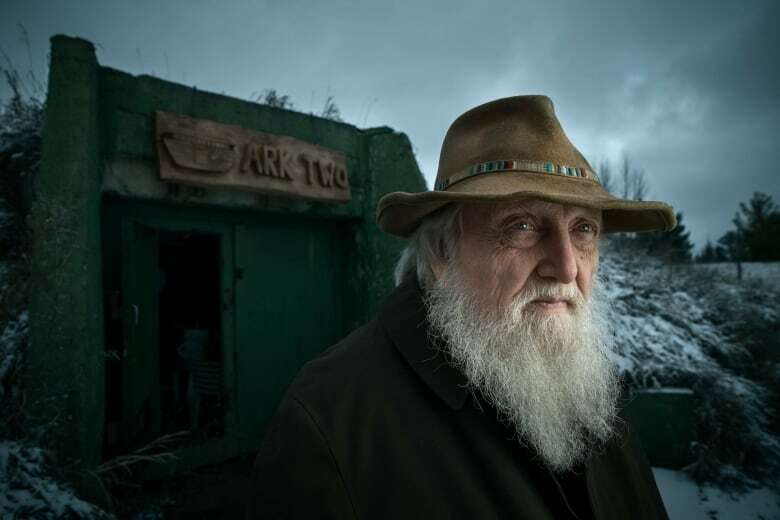 His company, Atlas Survival Shelters, builds personal nuclear fallout shelters. And when U.S.-North Korea relations are good, business is bad. "I have a saying today," he told Out in the Open host Piya Chattopadhyay. "Trump giveth and Trump taketh away." But Hubbard isn't bitter about it. "I'd much rather have peace over profits by any means," he said. "If I never sold another shelter in my life, that would be fine." Hubbard is trying a different tack with his shelter business. If it's not nuclear fallout you're worried about, perhaps your bunker could serve some other purpose. "I've got tornado shelters," he said. "I've got fire shelters. I've got bomb shelters. I've got artillery shelters. I've got shelters just to hide your guns in. I've got wine cellar shelters. I've got safe rooms. So I have a shelter for every means." Hubbard's clients tend to come from the "conservative right," he said. Some of his Christian clients say they want a shelter as an insurance policy for when 'the rapture' comes, an end time when some evangelical Christians say believers - both living or dead - will join Christ in heaven. Hubbard also has a bunker of his own. Though, he's not as worried about disaster as some of his clients. He had other motivations. "I'm one of these guys who's had a lot of nice things in life – cars and planes and boats. I just thought it would be the coolest thing I ever had. So that's why I originally got one." While many of Hubbard's clients are secretive about their bunkers, Bruce Beach is happy to talk about his. Beach built his shelter himself in Horning's Mills, Ont., a couple of hours north of Toronto. It's made of 42 hollowed-out school buses, buried under concrete and dirt. It includes kitchens, bathrooms, bedrooms and play areas for children. "It's a very rugged construction," Beach said. In other words, it might not be so nice to look at. But it works. Beach figures the Ark II, as he calls it, can hold 500 people in the event of nuclear war. He started work on it in 1980 and has maintained it since. "It became with me what people would call an obsession," said Beach, who's now in his 80s. "And everybody says, no, there's not going to be a nuclear war. And so far, they've all been right," he admits. But Beach is no less certain that disaster awaits. "The Bulletin of the Atomic Scientists has moved its Doomsday Clock the closest it's ever been to Doomsday," he said. "If people say nothing's going to happen, that's their choice. But other people look at all that information and think something will." This story appears in the Out in the Open episode "Sense of Dread."